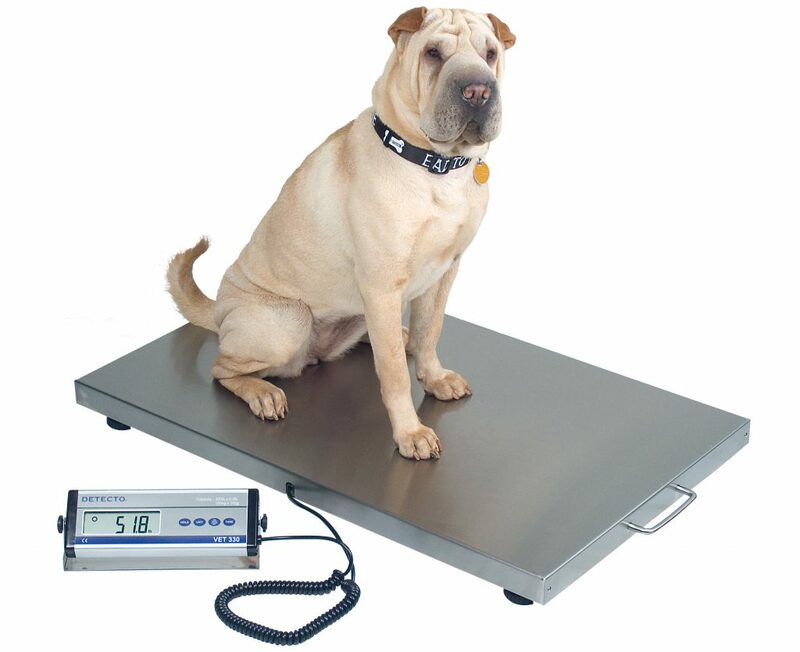 This economical, portable scale with a 1 inch (25 mm) high readout remote weight display and a platform measuring 36 W x 22 D x 2 H in (90 W x 55 D x 5 H cm), is the ideal scale for medium to large size animals. 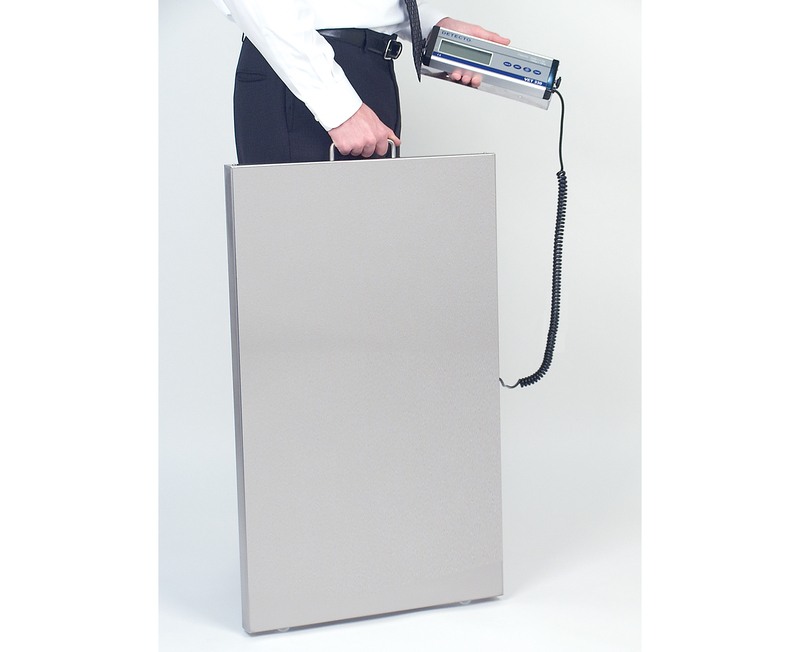 The VET330WH features built-in rechargeable battery power and comes with an AC adapter. 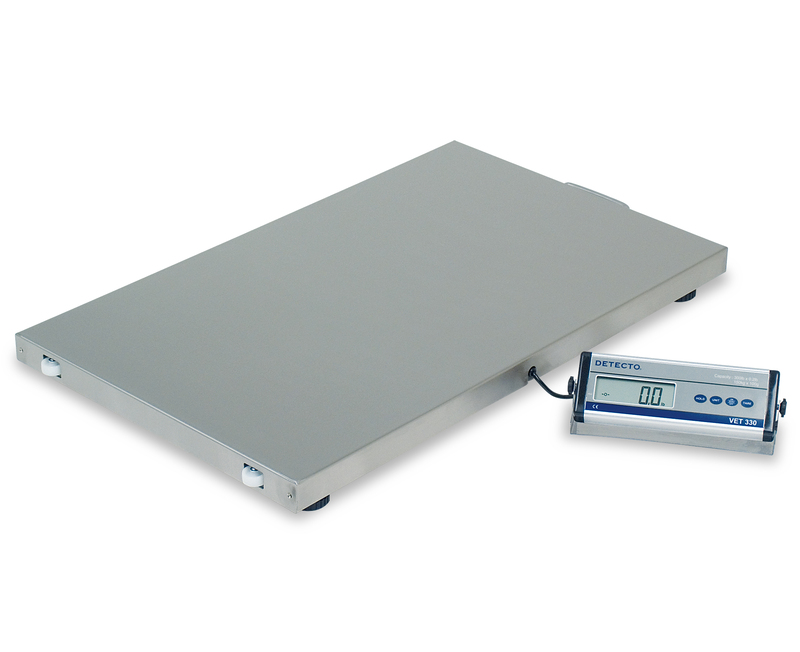 The scale’s light weight combined with wheels and carrying handle make it ultra portable. 330 lb x 0.2 lb / 150 kg x 0.1 kg capacity.